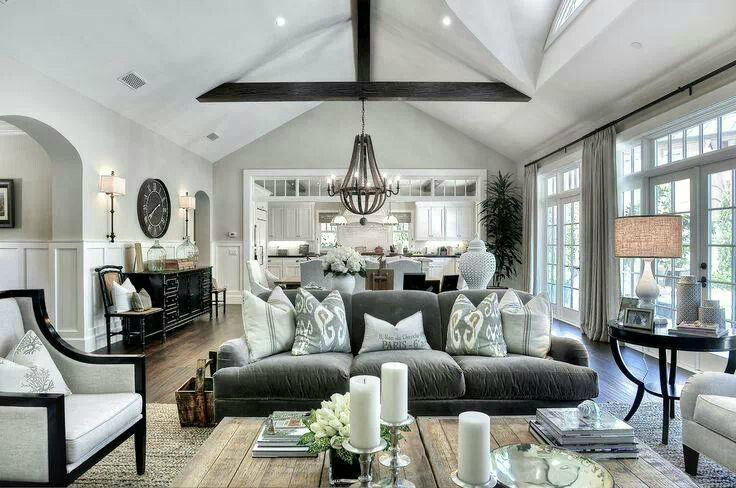 A family room is considered the informal part of the house. It’s similar to a living room and is used for family and friend get-togethers for chats, games, watching TV, reading, and other family activities. Most family rooms are decorated casually with furnishings and objects that can stand a bit of wear and tear. In some homes, floor plans that consists of a living room and family room combined into a single huge area is known as a “great room.” However, just because the family room is the more casual and probably the most used room of the home, you can still keep it stylish and interesting. 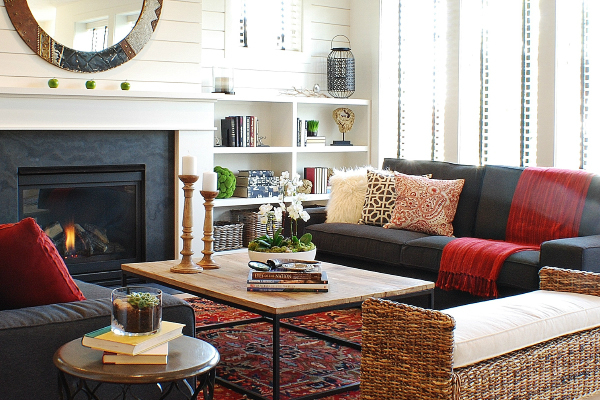 Below are seven family room ideas that are sure to add some style to a casual family room setting. 1. A family room does not have to have a media center as its focus. If you have children provide a play area for them. If the room is large enough place an adult game table in the room as well. If you prefer carpeting in your family room, make sure to select a dark color and that it can withstand heavy foot traffic. 2. Complement a family friendly environment with elegance by including lots of color and stylish patterns in your family room décor. Vivid tones appeal to adults and kids alike. A mix of patterns gives the space a chic energy. Be sure to include durable fabrics that can take heavy everyday wear and tear. 3. Spice up your family room walls with different types of art. Whether it’s paints, posters, drawings, sculptures, or group of family photos. 4. 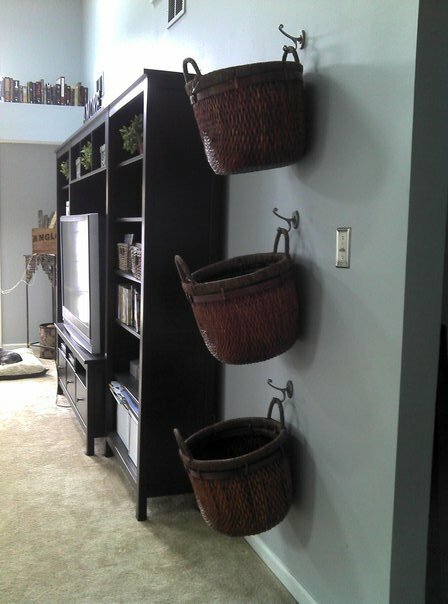 Expand spaces that encourage family groupings. For example, parents can be active in the kitchen while the kids hangout in the family room. There is no need to make the areas different from each other. Create a theme whether it’s color or furnishings that connects the décor of the two rooms. 5. 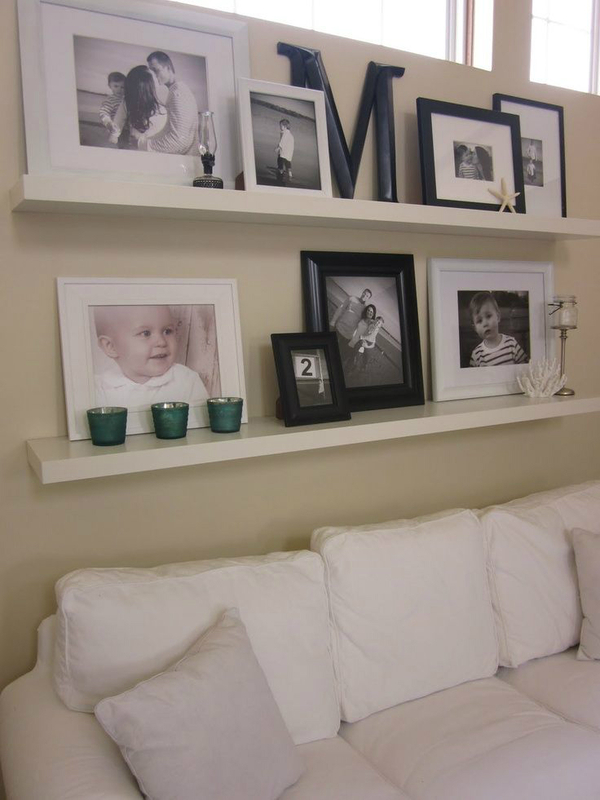 A family room usually has lots of bits and pieces lying around at one time or another. Create a storage area where you can store small objects like pencils, paper, and batteries, along with an area for storage of kids’ books and toys. You might want to be sure you have a space for Fido’s bed and toys as well if you have a pet. 6. 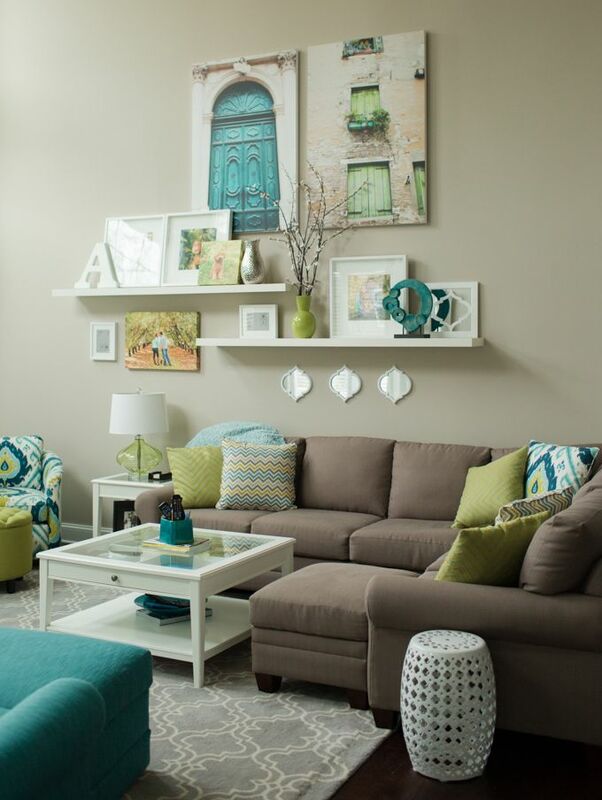 A mix of patterns and cool colors will give the family room a designer chic feel. By using durable fabrics like washable slipcovers for furnishings, you won’t have to worry about ruining fabrics and interrupting the flow of your décor. 7. 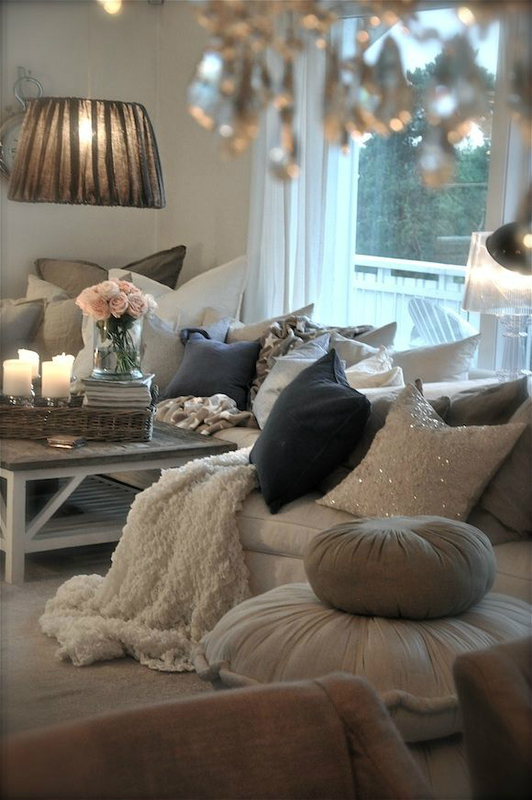 Cushiony, comfy sofas are a must in a family room. Pile them high with lots of pillows and let family and guest get relaxed while sitting and enjoying the togetherness of family and friends. 8. Create a small home office into your family room. 9. 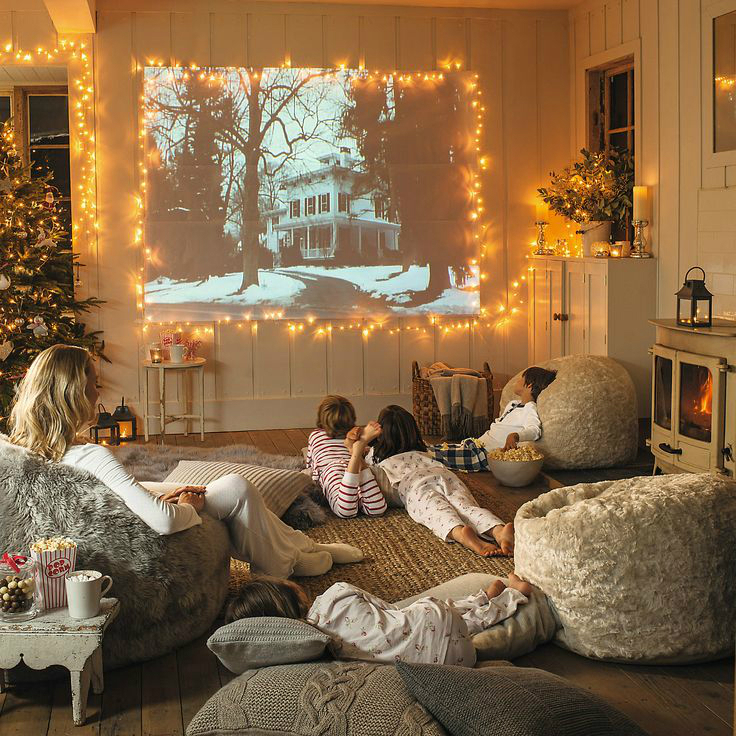 I definitely recommend Bean Bags for the family room. 10. 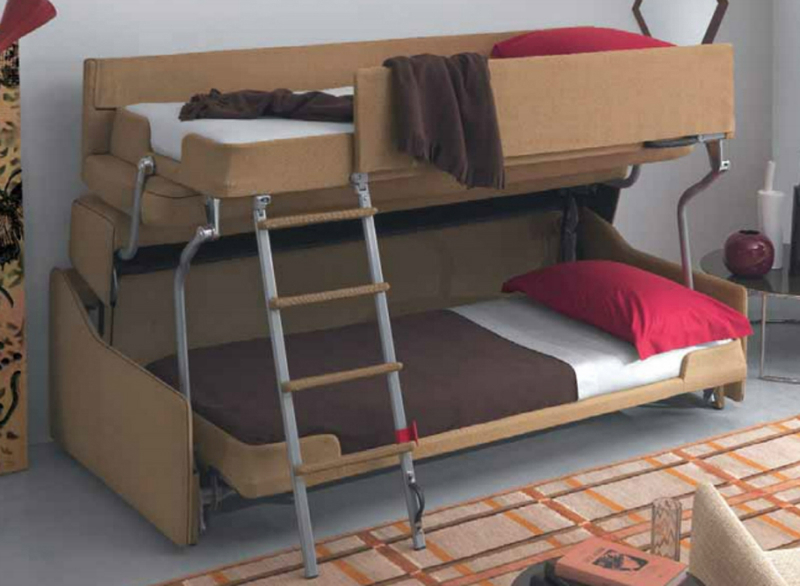 What about about a sofa bunk bed? 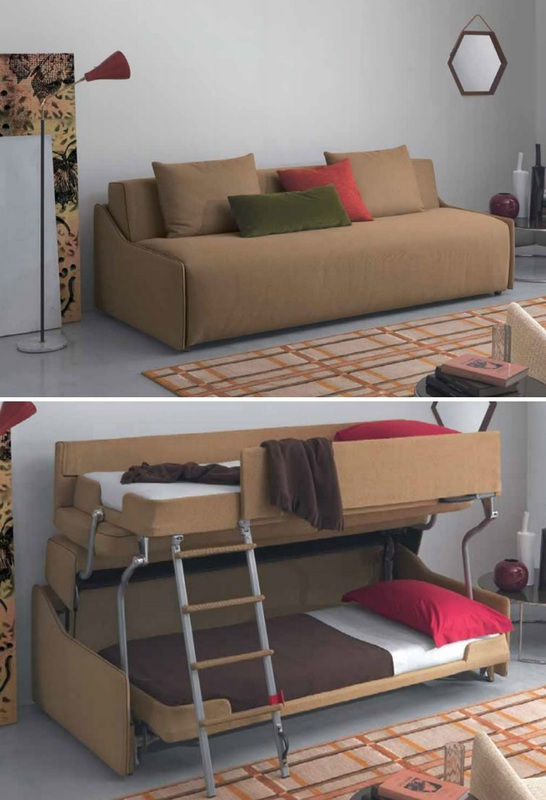 You need just a few seconds to transform that sofa to a bunk bed with a built-in ladder and an embedded guard rail protection!